Hundreds of friends and dignitaries looked on Friday, Oct. 9, as JU dedicated one of its residence halls to an alumnus whose support of JU has vastly enhanced the educational experience for his alma mater’s students, now and for decades to come. 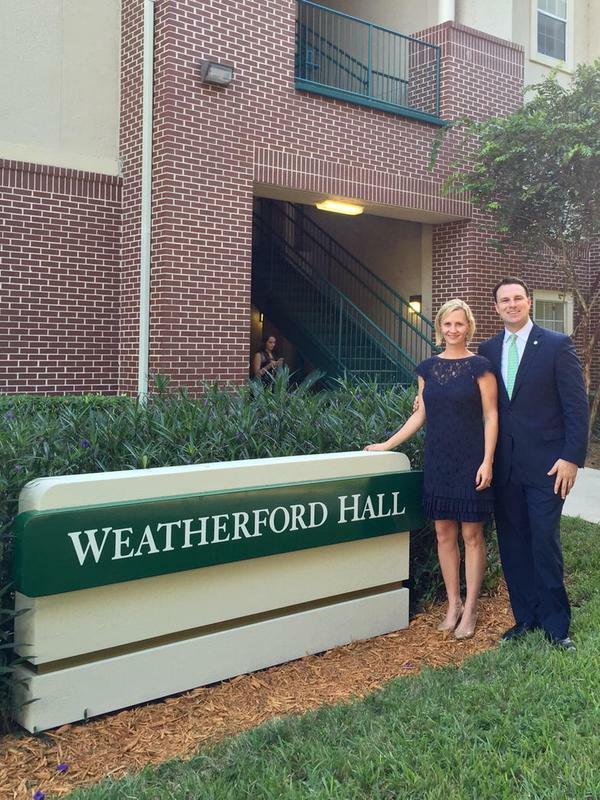 Will Weatherford, a 2002 graduate and 2015 Distinguished Alumni, was honored during Homecoming & Family Weekendf 2015 with the naming of Weatherford Hall at the Village Apartments, in recognition of his achievements and his contributions to Jacksonville University. 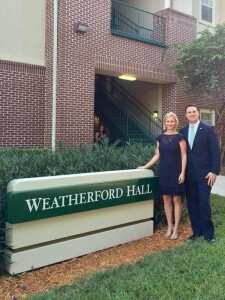 Courtney and Will Weathford in front of the newly named Weatherford Hall. 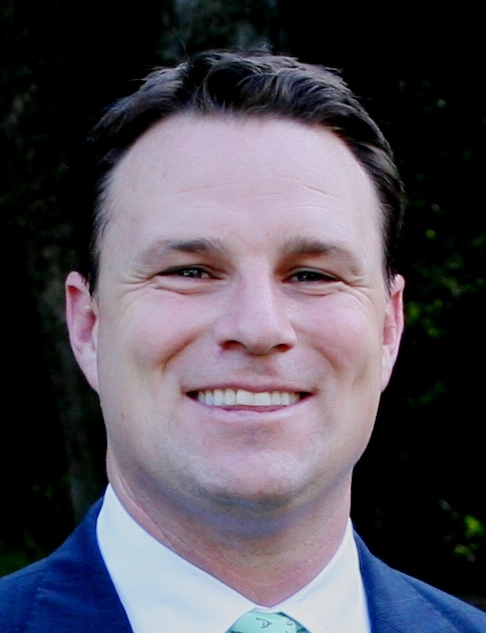 Among his many accomplishments, Weatherford served in the Florida House of Representatives from 2006 to 2014, where he was the 84th Speaker of the Florida House, serving from 2012-2014. 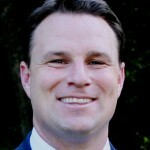 At age 33, he was the youngest Speaker of the House of any state in America. 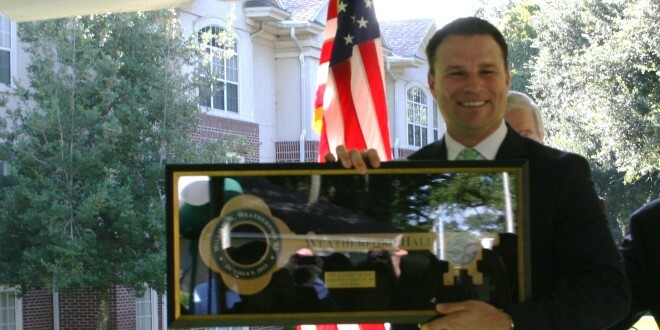 In just one legislative session, Weatherford’s insight and guidance in 2014 helped JU secure a $12 million public investment – the largest state funding in the University’s 81-year history – to help launch the University’s EPIC (Entrepreneurial, Policy, Innovation, and Commerce) initiative. It is designed to create educational programming to attract and retain highly qualified graduates in the highest-demand fields of STEM, the health sciences, business analytics and sustainability — those that bring more jobs and businesses to Florida. The new program is helping establish JU as a recognized leader in trans-disciplinary education. Weatherford said he was humbled by the honor, and proud to be a Dolphin.